Three Syracuse University nominees for the prestigious Goldwater Scholarship have been recognized. Jordan Barrett, a junior physics and mathematics major in the College of Arts and Sciences, and Maizy Ludden, a sophomore majoring in biology in the College of Arts and Sciences and geography in the College of Arts and Sciences and the Maxwell School, have been named 2017 Goldwater Scholars. Ismael Gonzalez, a junior neuroscience and biology major in the College of Arts and Sciences, has received Goldwater Honorable Mention recognition. The Barry Goldwater Scholarship and Excellence in Education Program was established by Congress in 1986 to honor U.S. Sen. Barry Goldwater, the five-term senator from Arizona. The purpose of the program is to provide a continuing source of highly qualified scientists, mathematicians and engineers by awarding scholarships to students who intend to pursue research careers in these fields. The Goldwater Foundation received 1,286 nominations this year—240 Scholars were named, and 317 Honorable Mentions were awarded. The Syracuse students were mentored by Goldwater faculty advisor James Spencer, professor of chemistry in the College of Arts and Sciences. The Center for Fellowship and Scholarship Advising assisted them in preparing their applications and essays. Barrett, of South Paris, Maine, received a Goldwater Honorable Mention last year. He is a participant in the Renée Crown University Honors Program. 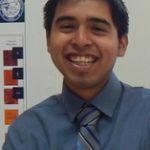 He plans to pursue graduate studies in mathematical physics and become a professor and research scientist, working to develop formalisms and mathematical methods to solve problems in physics. During his time at Syracuse, he has participated in a mechanical engineering internship at the Institut National des Sciences Appliquées in Strasbourg, France. He has worked with Syracuse University’s Gravitational Wave Group and currently works with the University’s High Energy Physics (HEP) group on projects related to the Large Hadron Collider beauty (LHCb) experiment. In addition to his current work with the HEP group, Barrett is working with Professor Stephan Wehrli of the mathematics department on a general theory for topological relations between objects of codimension 1; with Professor Jay Hubisz of the physics department on developing a numerically stable method to solve a set of stiff differential equations for use in high energy particle physics research; and with Professor Joseph Paulsen of the physics department to collect data for his current work on the nature of thin sheets, and on developing mathematical models to explain those observations. Barrett has also had numerous opportunities to serve as an academic mentor, including two summers as an academic staff member for the Maine Upward Bound Math/Science program (where he discovered his love for teaching) and a semester as a Physics I teaching assistant and tutor at Syracuse. Ludden, from Liverpool, New York, plans to earn a Ph.D. in ecology. In addition to her biology and geography majors, she is pursuing a food studies minor in the Falk College and a writing minor in the College of Arts and Sciences. She wants to research and develop sustainable agriculture techniques to minimize environmental impacts and allow vulnerable communities to maintain food security in the face of climate change. As she develops her passion for helping to balance the nutritional needs of a growing human population with human impact on the planet, she is determined to contribute to the reduction of modern agriculture’s effects on the environment. Ludden wants to work to harness the efficiency of natural ecosystems to develop agricultural techniques that will provide sustainable yields without jeopardizing the ecological processes. The combination of the science of ecology with the diverse perspectives provided by geography and food studies allows her to examine natural systems as a model for sustainable agriculture in a rapidly changing global environment. Ludden completed an independent research project, mentored by Professor Kari Segraves of the biology department, intended to link below-ground and above-ground community diversity in agricultural ecosystems with the goal of increasing sustainability and protecting native pollinator populations. She hopes to use knowledge gained from her study to aid in the use of sustainable agriculture to address global hunger while reducing humanity’s environmental footprint. She is also engaged in a comprehensive comparison of scientific and social sustainability across agricultural institutions in the United States with Professor Rick Welsh of the Falk College’s food studies department. This summer, she will conduct research on the ecosystem services provided by edible plants in the City of Syracuse. She plans to use all of these experiences in a research-oriented career. “Ultimately, I am determined to use my research to advance the well being of both humans and the planet we call home,” Ludden says. 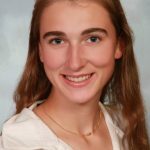 Ludden was also named a 2017 Udall Scholar. Gonzalez, of Guttenberg, New Jersey, plans to pursue an M.D. and a Ph.D. in biochemistry and develop neurological drug therapies as a physician researcher in either a university setting or government agency. His passion for biomedical research lies in the advancement of revolutionary therapeutic treatment, specifically in neurological drug treatments. While the identification and manipulation of new compounds is critical to the drug development process, Gonzalez believes that the characterization of their biochemical function has too often been overlooked. 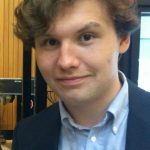 His interest in neurobiochemical research stems from his current work in his majors, biochemistry and neuroscience. Gonzalez sees the integration between the two subjects as both exciting and necessary for his future ambitions. Gonzalez joined the laboratory of Professor Carlos Castañeda during the first semester of his freshman year and has been involved in biochemical studies since then. He has investigated protein-protein interactions on a molecular scale and is currently quantifying binding interactions between them. He took part in clinical research last summer through a medical fellowship in Spain.